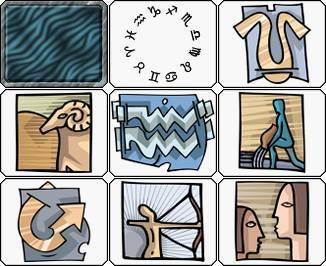 Displays two sets of Zodiac images. 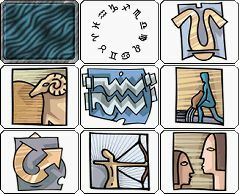 One with the Zodiac symbols and another with the sign icons. Nice look and feel with esotheric sounds.